This Monday three appeals court justices in Tacoma, Washington will hear cases for and against fluoridation of the public water supply. Those in opposition to water fluoridation point out that those in support claim fluoridated water is promoted as tooth decay prevention, thus fluoride should be recognized as a drug, (any substance used with intent to treat or prevent disease) and protected drug laws should apply. At this time the government does not consider it a drug. As more citizens begin to question the safety of fluoridated water, the EPA has had to recently admit that the amount in the water supply is dangerous to children. 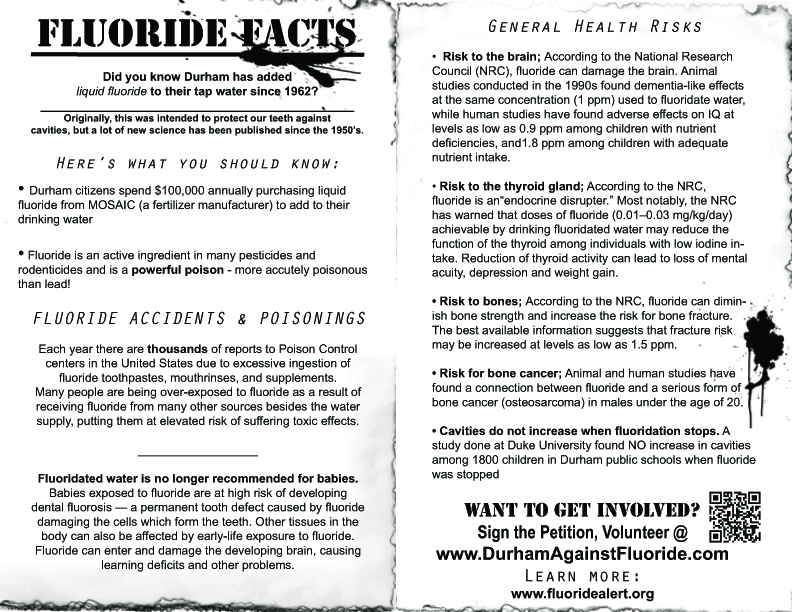 A Harvard study recently linked fluoride to lower IQ’s but was quickly changed to say that “IQ’s were only lowered outside the United States.” The West Virginia University Rural Health Research Center recently reported that U.S. children in urban areas, with a higher exposure to fluoridated dental care and water, have just as many cavities as less fluoride-exposed rural children. A study by Dr. Dean Burk, former head of the Cytochemistry Section at the National Cancer Institute and Yiamouyiannis, showed a massive cancer increase in areas who received water fluoridation. Many countries like Sweden, Germany, Finland and the Netherlands have discontinued water fluoridation and several areas within the United States are following suit. A recent hidden camera video inside a water treatment facility has pushed the anti-fluoridation movement even further with its attempts to remove the substance from the water. Just last year citizens in Wichita, Kansas and Pulaski, New York joined the more than 130 communities across the country to ban water fluoridation.